MOSCOW, April 6 (Itar-Tass) - The U.N. Secretariat takes an unconstructive and inconsistent position on the investigation of the use of chemical weapons in Syria, the Russian Foreign Ministry reported on Saturday.In essence, the U.N. Secretariat wrecks it, the ministry added. 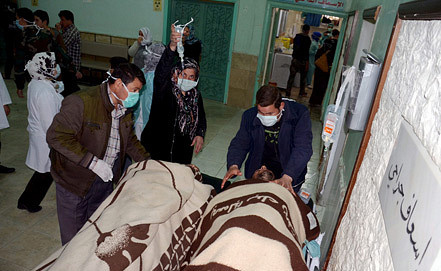 “Under the pressure of certain states the U.N. Secretariat takes an unconstructive and inconsistent position and in essence wrecks the investigation of concrete information on a possible use of chemical weapons in Syria on March 19,” the ministry said. “We consider such actions unacceptable and inadmissible by any party and moreover by the leadership of the U.N. Secretariat, which should act following the fair and objective position while discussing crises and other disputes,” the ministry said.